To accomplish goals, it is necessary to set realistic goals. Disclaimer : This post contains affiliate links which means I may earn some commission if you will buy through my link at no extra cost to you. Read full disclosure here. It is possible to set goals and forget. We all do it. But the joy is in not only in planning, but slaying your goals. When you start something and never complete it, it gives you a kind of uneasiness. That particular goal never goes out of your mind, how hard you try. Before setting your goals, set your intentions. Intentions activate your brain to do what is required to achieve that specific goal. This is what you actually want to accomplish. You will definitely accomplish that goal which is attached to intentions. 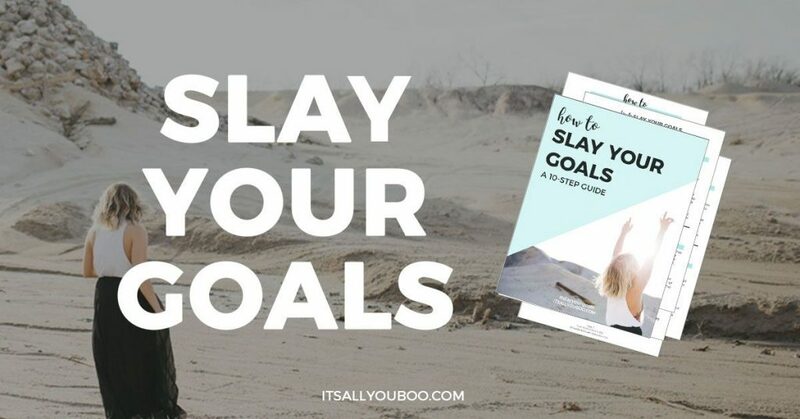 I use this Slay your goals printable planner to plan my goals. 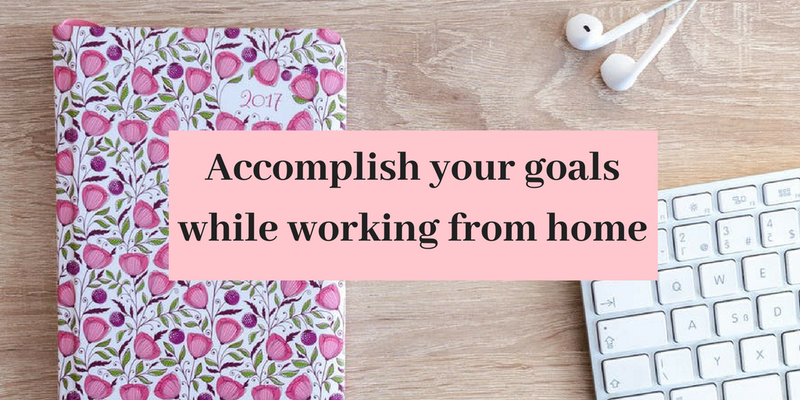 When you work from home, you have million distractions.It becomes difficult to concentrate on goals. And it becomes necessary to work on planning the goals ahead so that you will have enough time to accomplish whatever you are upon. It is easy to day dream to be a millionaire in very short time. But if you are struggling to make both ends meet and you think of becoming a millionaire in a very short time. You will feel enthusiastic while starting out but your enthusiasm will wither away if you will not see the results. Planning and writing your goals on paper is the most important task in achieving success. It is best to have a solid plan for whatever you wish to do. Plan your goals a year ahead. 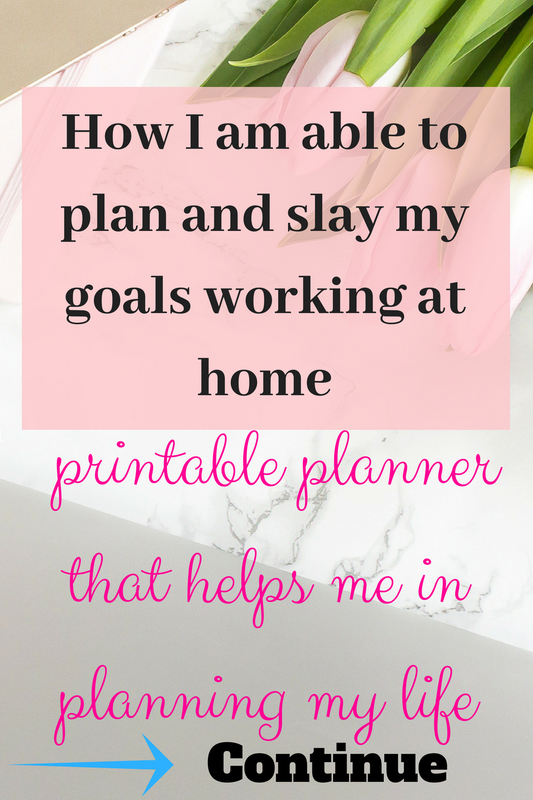 Planning for big tasks to be accomplished in a years. Then break them into bi yearly. Again break them into quarterly goals. If you want to accomplish something big, have a plan laid out time ahead. Never leave your goals loose. I mean introspect on what you were able to accomplish and where you felt short. It will give you insights where you faulted and what needs to be done to cover that time. Small steps taken daily towards accomplishing your goal will take you on your path of acheivements. Take baby steps and see what resources you need for the given task. Small steps take the overwhelm away from you. Doing little things at one time daily and consistently leads to success. Breaking your goals into smaller parts make it easy to assign set amount of time to tasks. When you see you have completed one task, taking on next one becomes easy. I will give you personal example for this. I have that habit of writing post, then social media publishing , designing in Canva, altogether. And when I see 3 hours have gone and I haven’t completed even a single task. I feel so irritated. I regret doing so many things together . Multitasking is not good for productivity. When you work on a single task , your brain is concentrated on it. When you change tasks, it let you change your attention every time. This leads to less efficiency even if it looks like you are more efficient. Rewarding yourself on small accomplishments is like cheering your own-self. You don’t need to spend a fortune on this but small gestures towards your own self will give you inspiration to accomplish more. 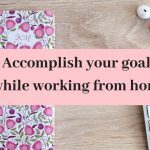 This is required while working at home because you neglect your own self in the pursuit of working for your goals and others at home. It is a good idea to get motivation from your own-self. You work on lot of things and get done heaps of work. But some of the things remain undone. And you feel like you cannot accomplish so many things. Those things bothers you. At this point of time, write down what you were able to accomplish. Then pay gratitude for that and you will realize how many things you were able to accomplish. Always stay motivated with the thoughts of your own accomplishments. This is the best reward to keep your self inspiredEven little things matter a lot. Yes my dear, confidence is one most important thing you need to succeed. You will only take the plunge if you will have enough confidence to accomplish the task. Confidence resides in the deep buried realm of our negative thoughts and fears. Work on your confidence and bring it out. Can do it attitude helps in giving you confidence for your work. When you have confidence in your abilities, your brain prompts you to take necessary actions. This one is my favorite. Nobody else watches you doing this. No judgements, no negative comment. It is you and your thoughts converted into images in the realm of your subconscious mind. Visualize your self with the end result. Feel the emotion you will have, after achieving that particular goal. Visualize each and every detail of your accomplished task. Feel it and live it. Never underestimate the power of prayer. Praying with the gratitude helps in generating thoughts of abundance. You will feel more inclined towards accomplishing your goals. Prayer gives you happiness and a kind of satisfaction to your soul. Thanks for reading and please share if you like it. And tell me what you do to accomplish your goals.